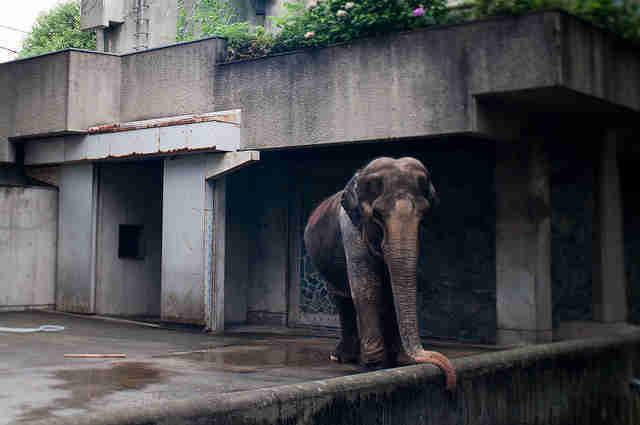 Hanako, the world's loneliest elephant, has died. 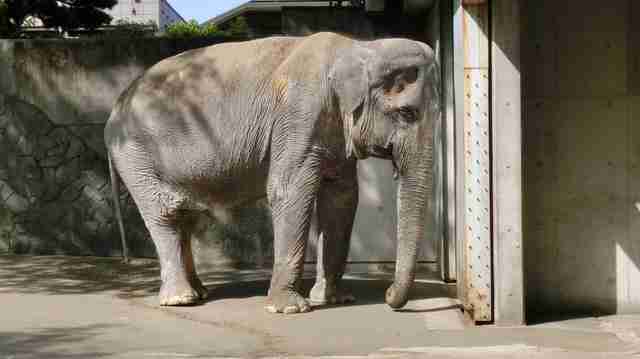 For more than 60 years, Hanako had lived in a tiny concrete enclosure at Inokashira Park Zoo in Tokyo, Japan. Her enclosure had no grass or trees, and she hadn't seen another elephant in decades. Her plight came to light late last year when a visitor, appalled by her condition, wrote an online post calling Inokashira Park "one of the cruellest, most archaic zoos in the modern world." The tourist, Ulara Nakagawa, said Hanako "just stood there almost lifeless - like a figurine." Videos show the elderly elephant swaying back and forth, a form of stereotypic behavior, blending in in to the stark gray walls behind her. Despite international outrage, Inokashira Park refused to release Hanako to a sanctuary, saying she was happy and healthy. Instead, the zoo met with animal welfare expert Carol Buckley, and said it would be instituting changes to Hanako's home and routine based on her recommendations. But it was too little, too late. On Thursday morning, keepers found Hanako collapsed in her cage, according to the Japan Times. They tried to move her so her weight wouldn't crush her, but she passed away a few hours later. While elephants are social animals who build lifelong relationships with family and friends, Hanako's life was devoid of emotional connections. 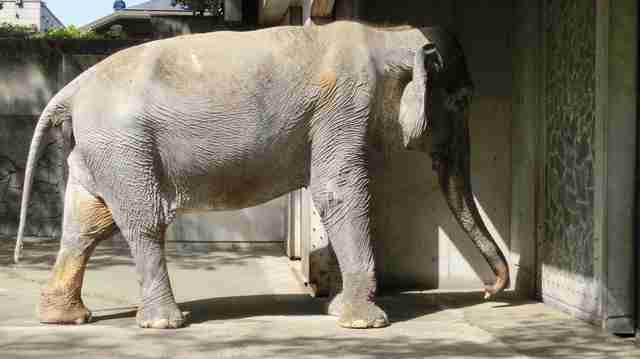 Born in Thailand in 1947, she was shipped to Japan's Ueno Zoo at just 2 years old to replace some elephants who had been left to starve to death during World War II, according to an earlier report by the Japan Times. She moved to her tiny cell at Inokashira Park a few years later, where she remained for the next six decades. Devoid of friendship and suitable enrichment, she became violent towards the people around her. She trampled a man who in 1956, and later a zookeeper. A 2011 report said she had attacked a keeper, a veterinarian and another staffer in the past five years. As a result, she spent many years chained up. For years she had been toothless, and suffered from digestive issues. And this week, she passed away the same way she spent most of her life: alone, and in the barren treeless jail where she spent 60 long years. She was the oldest elephant in Japan, and for most of that long life she never felt grass, or dirt, or the closeness of another animal like her. 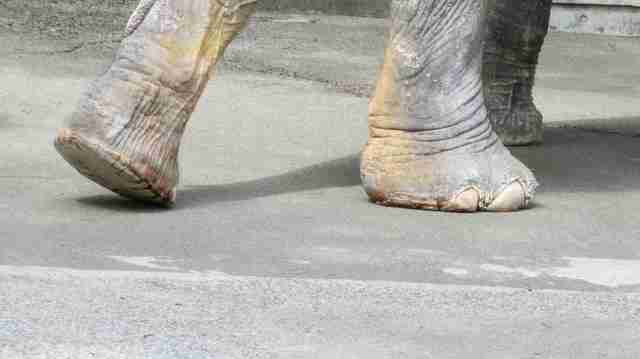 Hanako's story may be over, but there are still many other elephants like her. The best way to help is to avoid zoos or circuses that keep elephants in environments where they can't indulge in natural behaviors like traveling, running and forming lasting friendships. To help elephants rescued from similar situations, you can make a donation to Thailand's Elephant Nature Park here.